This entry was posted on November 18, 2012 by Shannon @ Eyemasq. 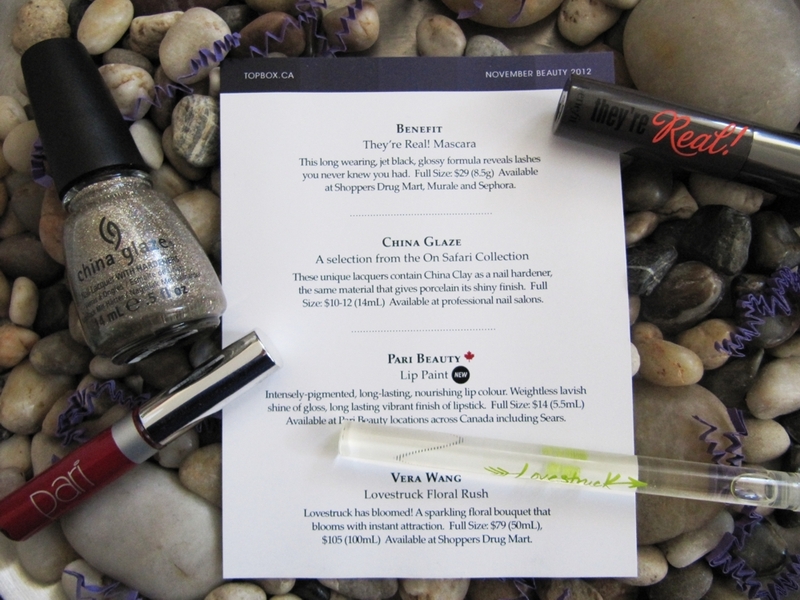 It was filed under Makeup, Topbox and was tagged with Canadian Beauty Box, I'm not Lion Nail Polish by China Glaze, I'm Not Lion swatch, Lovestruck Floral Rush Fragrance by Vera Wang, Luxe Beauty Samples, November 2012 Topbox, November Topbox review, November Topbox unveiling, On Safari China Glaze Nail Polish Collection for Fall 2012, Pari Lip Paint in "Red", Red Pari Lip Paint Swatch, They're Real! Mascara by benefit. I love I’m Not Lion and that lip paint on you! 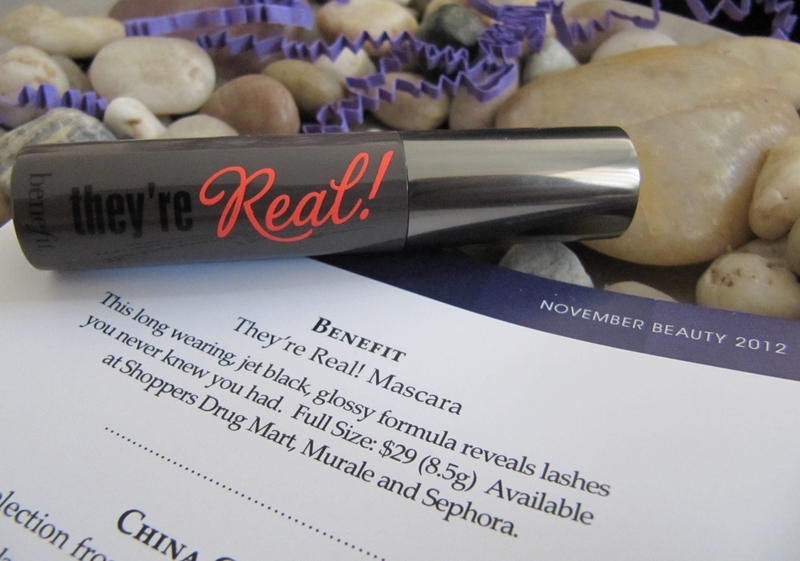 It’s always great to receive a beauty box that’s actually worth the money… and more! Thanks Sunny! I couldn’t agree more – it always feels great when you get great value out of your beauty box! I was absolutely ecstatic with my November Topbox. I was so happy that it was filled with 100% usable and fun products. Fingers crossed that December’s box is just as amazing! And yes, the glitter polish I’m Not Lion makes me super happy, I think it is perfect for this time of year with the holiday season around the corner. 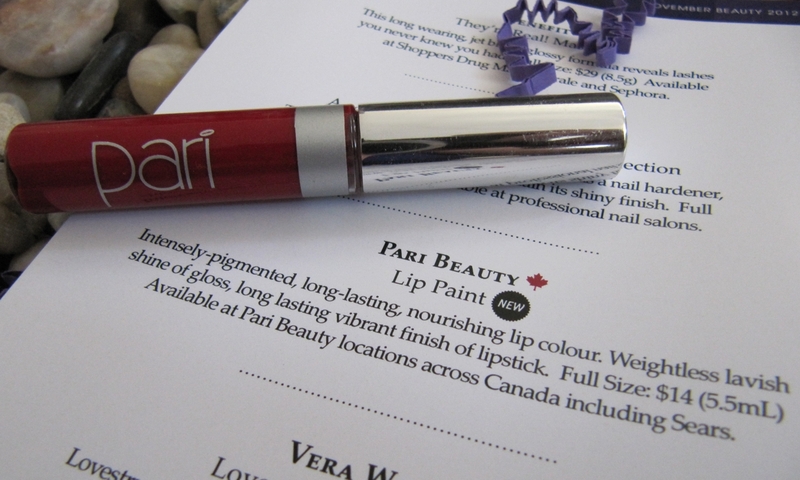 And as for the Pari lip paint, I thought the colour was really pretty, but was especially impressed with its wear time and how it felt on my lips. I will definitely be checking out what other colours they have next time I see their counter!! I’m in trouble! that lip color looks stunning! i love it! and i missed out on i’m not lion too so i’m slightly jealous right now but it looks great on you! Hehe – thanks Holly! I was sad about I’m Not Lion too, I was seriously contemplating getting a few off of Ebay. But I was so excited when I saw it in my Topbox, hooray for small victories! One less polish that I need to go out hunting for. 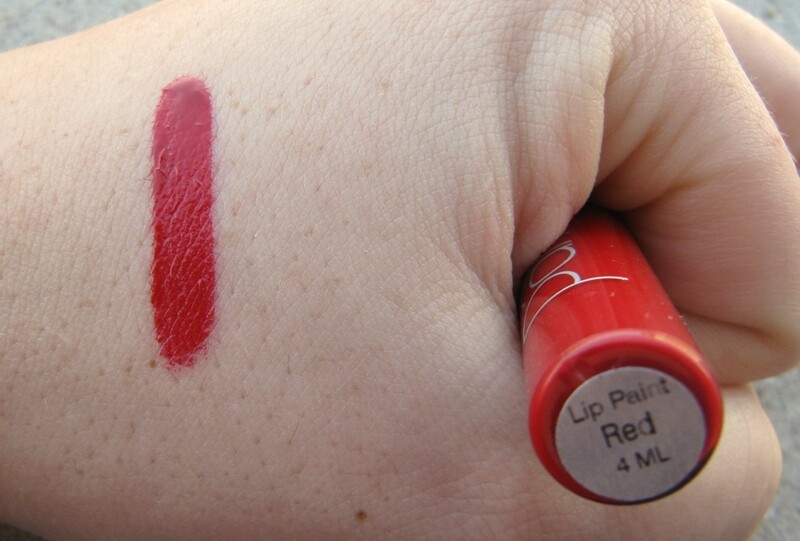 And isn’t that lip paint beautiful?!?! It felt so good on my lips too, I was blown away by how it felt all day and also managed to hold its colour. Can’t wait to check out their counter and see what trouble I can get into! Hey – thanks for commenting! My skin is pretty resilient, so I am fortunate that way, but I could see how they could be a stressful nightmare if you do have sensitive skin. 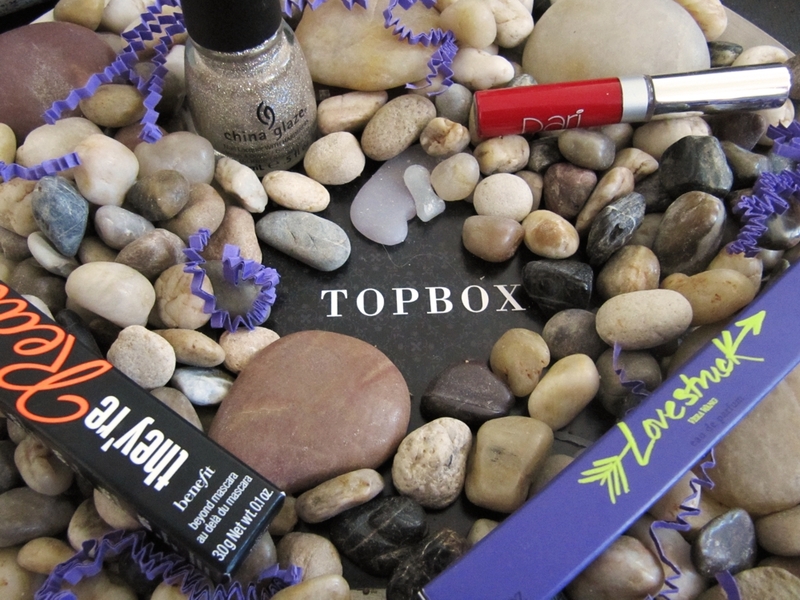 Topbox is the first beauty box I am trying out and if they keep up like this month, I don’t see myself cancelling my subscription any time soon! 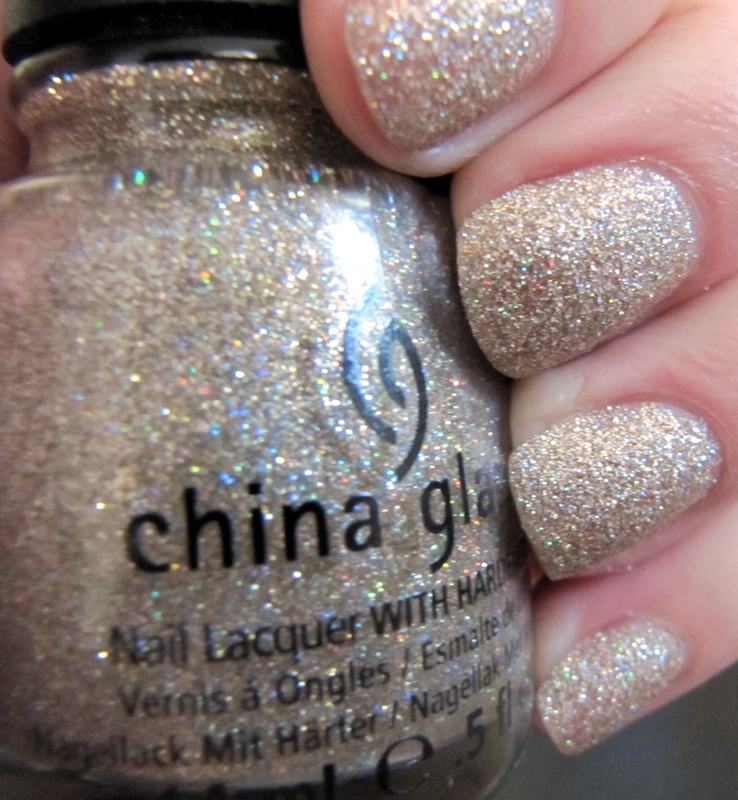 Wow…I’m not a Lion is an all time fave polish!!! That box was worth it just for that. I only subscribe to Birchbox and I think I’m all sampled out! 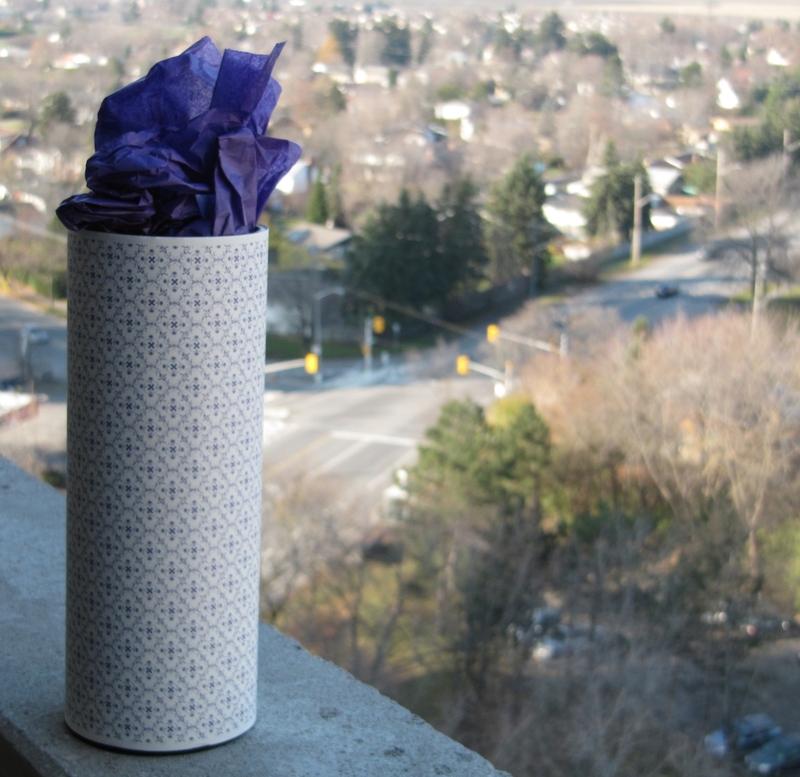 Topbox is like our Canadian version of Birchbox, seeing as we can’t get Birchbox here. There are a couple other ones here north of the border as well, but I figured one is enough for the time being! That nailpolish is beautiful! wow! omg what a fun box, so glad this one was better!! As I read your post, I gasped as I saw that you got I’m not Lion. My husband had to ask if everything was OK. I told him I had nail polish envy. He said “Probably won’t be the last time.” I’m sure he’s right. Lucky duck! You got amazing samples. The nail polish and the mascara alone would have been enough for me. But add the lip color and fragrance, and I’m in sample heaven! Enjoy my friend. Hehe, thanks Rebecca! I certainly felt like I was in sample heaven too. I was lucky to receive such great samples and great colours of those samples. Topbox did such a great job of following my beauty profile and making this subscriber really happy!!! You should grab I’m Not Lion off Ebay, it sounds like you would give it a good home and lots of love. 🙂 Thanks for stopping by Rebecca and for taking the time to comment! That lip colour looks fantastic on you! BoxCulture has recently started the same sort of idea here in Malaysia, and I’ve made a 3-month subscription…hope to see some exciting things too! Thanks dear, I really love it too! And that is so exciting that you will soon be receiving all sorts of goodies too. 🙂 It’s really something fun to look forward to every month and to get excited about when it arrives. I have my fingers crossed for you, I hope you get some awesome stuff!